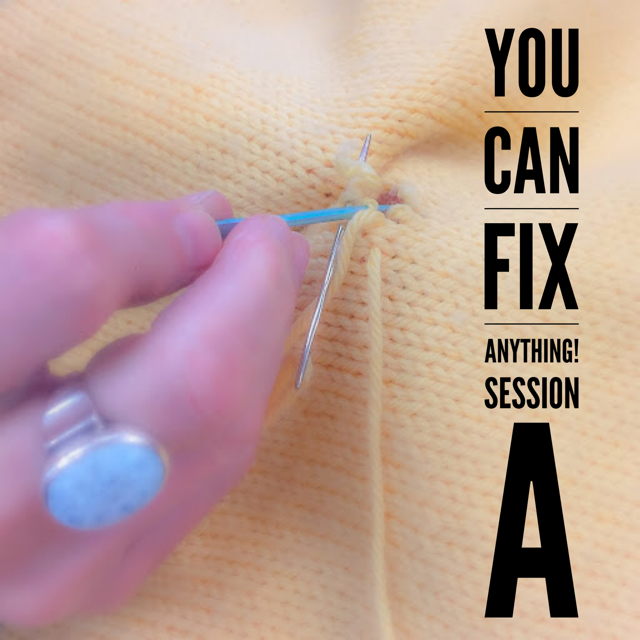 This is the first class in the You Can Fix Anything! series. Session A can be taken as a standalone class, or as the required prerequisite for Session B and Session C. If you would also like to register for Session B click HERE; for Session C click HERE. To sign up for the entire three session series and enjoy a tuition discount register HERE instead. In Session A we will be learning to “read” our knitting. This class will focus on the individual rows of our knitting. How does the yarn in each row interlock with the rows above and below to create different fabric? How does this change between fabric swatches? Learn where each strand goes and how to follow them with your eye using a contrasting color of yarn (useful for “over knitting” techniques) and how to sew in ends invisibly. This skill is vital to Fixing Anything because it is the foundation of understanding our stitches and how they combine to become fabric.